Always: the Love Story of Irving Berlin is a book musical in which Mark Nadler and KT Sullivan tell, sing and reenact one of the great American love stories. 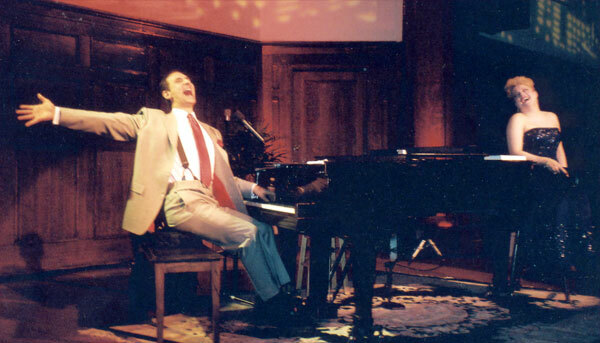 They put Irving Berlin's music in service to the story, weaving the composer's songs in and out of the narrative according to their emotional content, giving us the intimate story of a musical colossus. The two act evening features a zesty smorgasbord of Berlin tunes -- many well known, many rarely heard. Some are performed in their totality; others are woven into evocative medleys that punctuate dramatic arcs in Berlin's life.. This show is rich in American history as well as a deeply moving theatrical event.